It's OK for you to install a new third party template, for your blog - though you should plan to do some extra work. Third party templates should include some installation instructions. A template publisher should provide instructions for uploading and installing their template. Installation procedures may vary, however. If the template publisher is honourable, using an install script, provided by the template publisher, can be the most reliable install procedure. A well written script can extract the template of your choice from the publishers library, copy it to your blog, and tweak the install to your satisfaction. You do nothing other than select the template, and maybe some key options - and provide access to the dashboard. The script does all of the work. This is similar to the selections on the Blogger dashboard "Theme" page - you simply select the template that interests you, and the script does the rest. Giving control of your Blogger account, to an unknown third party, is not always the best idea, however. 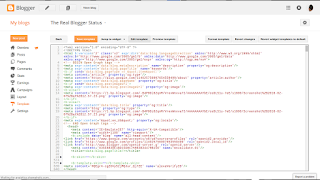 If the template publisher provides a template as an XML file, and describes the template as "for Blogger", you can install the template from the dashboard. You will first download the template of your choice, to a local computer. 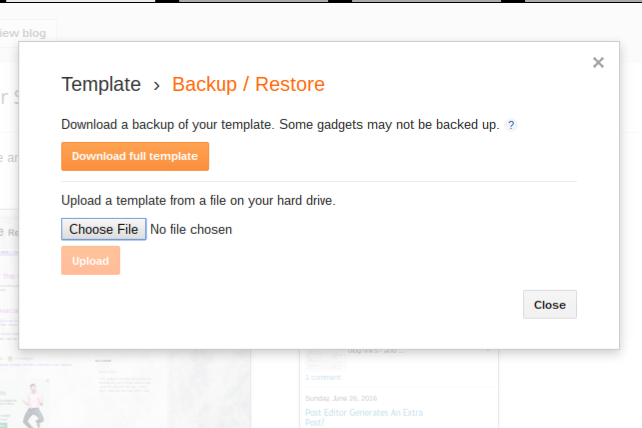 With a template downloaded locally, you use the Blogger "Backup / Restore" wizard, in the dashboard Theme page. Start with the dashboard Theme page. 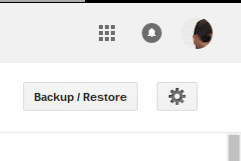 Hit the "Backup / Restore" button. Hit the "Choose File" button. 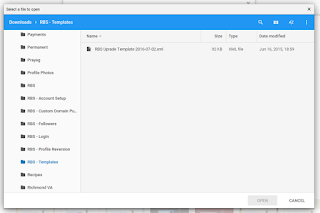 Now, you have the file manager, provided with your computer. Select the file, containing the template just downloaded. 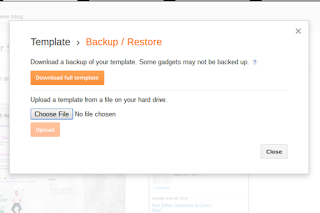 The "Backup / Restore" wizard is part of the Blogger dashboard. The template will be selected, using the file manager wizard on the computer being used. This is the most universal procedure - if the template is provided as HTML. 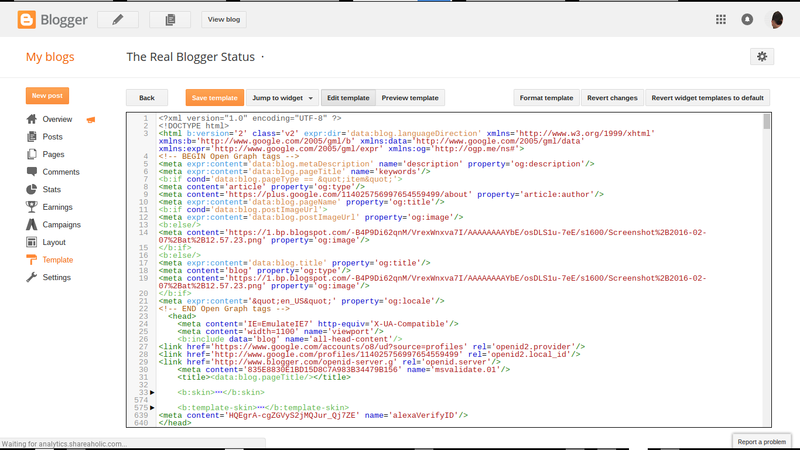 Just use the Blogger "Edit HTML" wizard, in the dashboard Template page. The simplest install uses "Edit HTML", from the dashboard Template page. Copy the HTML or Text file content, into the window. In some cases, you may have to do some work, to use an HTML template. 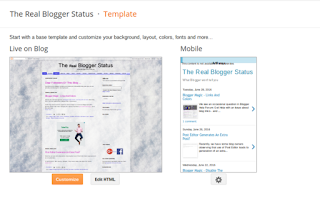 It's your blog - and the template choice is yours too. You can use any acceptable third party blog template. Many blog features will perform best, though, if you use the Blogger supplied post template. Even if you use Template / Theme Editor to install your third party template, you may not be able to edit - or redesign it, the same way. 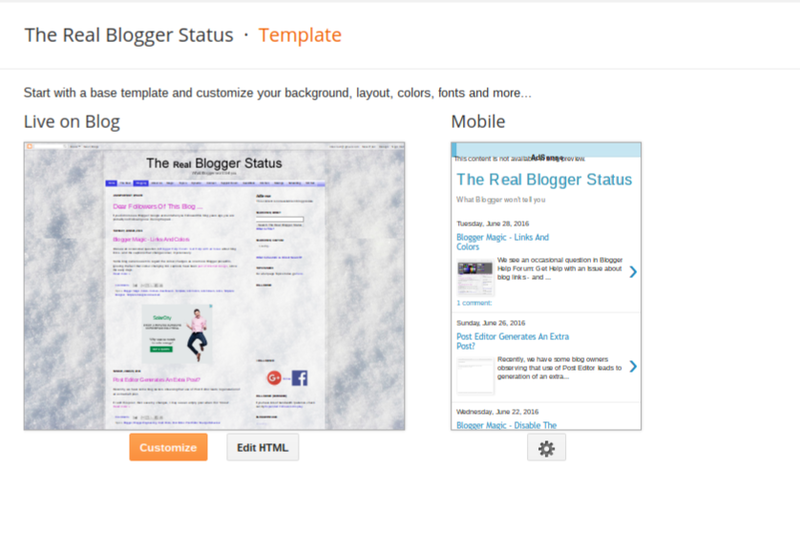 Both Theme Designer and Editor work best with standard Blogger templates. 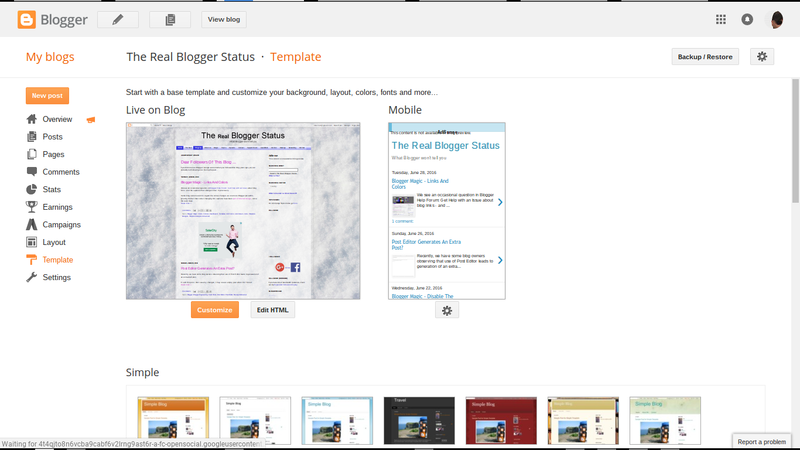 Not all templates, even stated as "Blogger Compatible", contain the necessary code to make Theme Designer or Theme Editor work. To ensure up to date Blogger code, always refresh the post template, after installing a third party blog template. 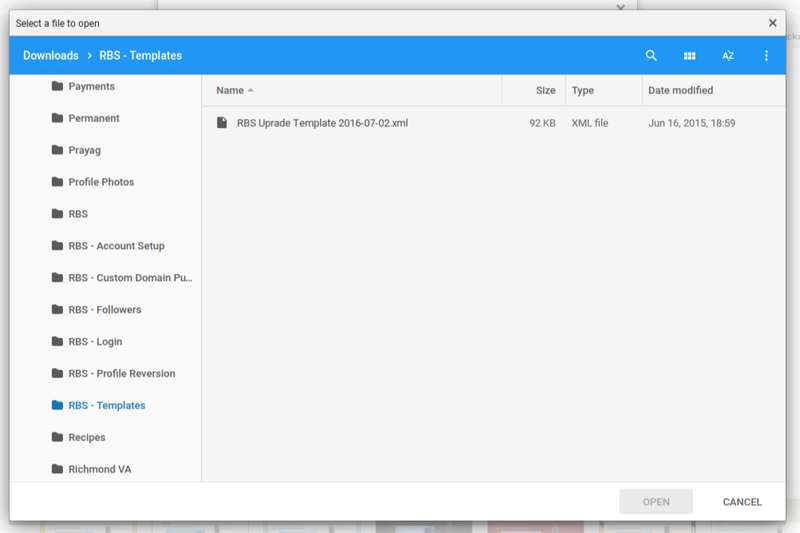 And as always, I'll suggest that you backup the template, before and after installing a custom template. 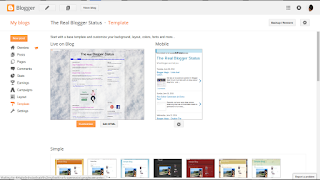 If you install a third party template, you may have to support your blog on your own. Please understand that Blogger won't be able to support your third party template - that is the responsibility of the template publisher. Problems with your blog, after installing third party accessories, may be yours to resolve. Not all features, such as full support for Template / Theme Designer and Editor, or maybe effective sharing of blog content to FaceBook and Twitter, can be reliably supplied in third party templates and themes. Blogger did a lot of work to support FaceBook sharing - and your favourite custom theme developer may not always appreciate this detail. Try and choose a reliable template, from a publisher with a past - and future. The shinier and more feature rich your template needs are, the more carefully you should choose your template publisher. Even if the template that you choose works today, will it work next month? When Blogger adds a new feature, next week, you can bet that they won't test their changes against the third party template that you're using. And even if your chosen template publisher is careful to test any Blogger changes, their testing won't start until Blogger makes their changes public. And any problems that they discover will be yours to deal with, until a solution is developed and tested - and you install the corrected template. If you choose a template made by a startup publisher, and you're their first / only customer, they may get a new day job, next month. The next time Blogger makes a change that requires an update to your template, they may not answer your plea for help. With no support, you'll be left with one solution - you may want to consider moving your blog to a new, Blogger supplied theme. There are millions of #Blogger blog owners - and each owner is different. Blog design - and templates used - will vary similarly. Some blog owners cannot be satisfied by the Blogger supplied template library - and require third party produced templates. Third party themes may not support all Blogger developed features, unfortunately.